Here’s one of my family’s favourite meals, especially as the weather starts to cool down. 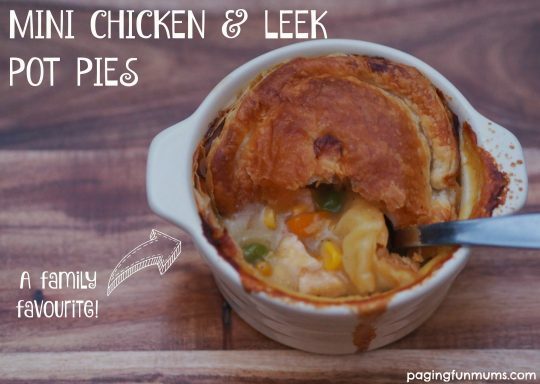 We choose to make our pot pies in 1 cup ramekins however this recipe works great as one large family pot pie too. Pre-heat oven to 200 degrees Celsius. And thaw frozen pastry sheets. Heat olive oil in a large deep pan frying pan, brown the chicken the add the bacon, leek, carrot and garlic, sauté for a few minutes before sprinkling the flour over the mixture and cooking for a further minute. Add the chicken stock slowly while stirring and then add all the remaining ingredients (besides the pastry). Simmer gently for 5 minutes. Spoon mixture into 4 cup sized ramekins before topping with pastry (cut to fit). Bake until pastry is golden brown (aprox 15 minutes). 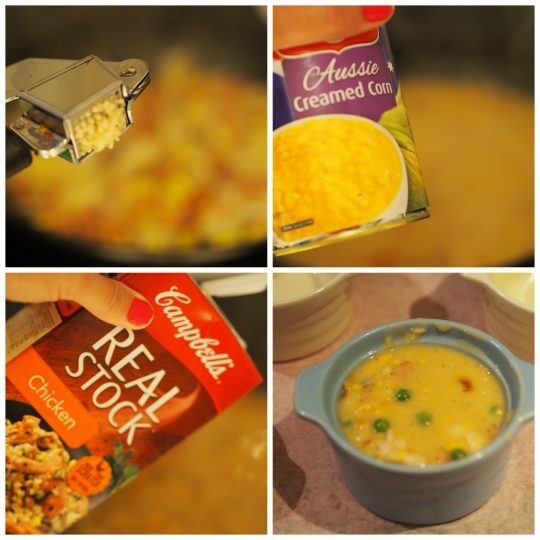 We hope your family enjoys this recipe as much as we do. You might also enjoy these meal ideas.